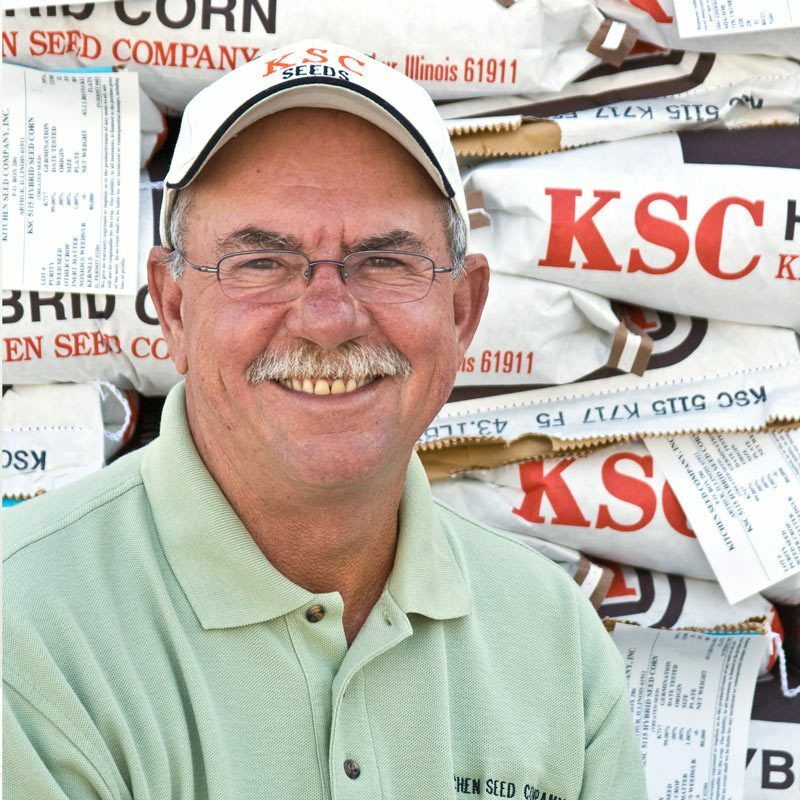 Dave Gilbert | Kitchen Seed Company Inc.
Dave has 33 years of service in the grain business, having held managerial positions in the Arcola area with Van Gundy Grain, Cargill and the Illinois Cereal Mills. He has been with Kitchen Seed Company since 2003 and works his sales territory east of Arcola to Paris, south to the Marshall/Casey area and north to Tuscola. His expertise lies in the food grade corn. Dave graduated from Lakeland Community College with an associate degree in Agri Business and has been working with farmers for over 40 years. He was born and raised on a farm near Hindsboro, Il and still lives in the area. He and his wife, Vicki, live in Arcola and spend a lot of time enjoying the grandchildren.